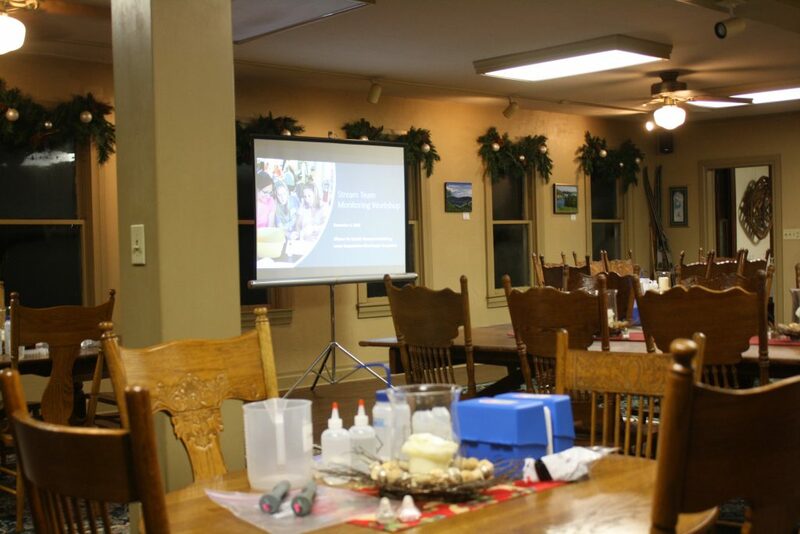 On December 4, I had my first Stream Team workshop in York County, PA. At first I was nervous because this was my second workshop, but as Julie Vastine, Director of ALLARM, was presenting the objectives and goals of the Stream Team workshop, I became more comfortable as I witnessed the attendees participating throughout the session. I had three people in training group. Each of them came from a different part of the county. When I was training them how to use the LaMotte Tracer PockeTester, I was confident giving them tips about how to use the meter and how to troubleshoot if the meter malfunctions, how to change the temperature from Fahrenheit to Celsius, and things to look for on the meter’s screen during calibration to know that it worked. We went through the Nitrate-Nitrogen and pH testing smoothly. While doing the tests, I started to get to know the volunteers better. I learned about their backgrounds and their interest in water quality. Overall, my first Stream Team workshop was a success and I cannot wait to participate in more workshops during my time at ALLARM. The workshop set up at Shank’s Mare Outfitters.